WTF ?? – Wie kommt das denn dahin ? 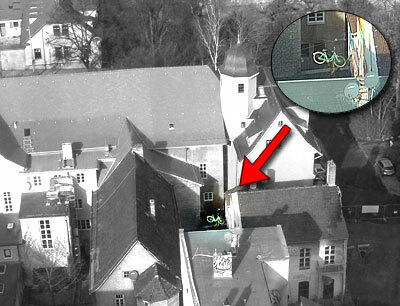 Das Gebäude liegt zwischen Johannisstraße und Fürstengraben – ich glaube es ist jenes wo auch das Jugendzentrum beheimatet ist. This entry was posted on Saturday, February 18th, 2006 at 15:57	and is filed under jena, local. You can follow any responses to this entry through the RSS 2.0 feed. You can leave a response, or trackback from your own site.